Even with the expansion of the drone industry, litigation arising from drone use remains in its infancy. This article explores avenues for liability and potential recoverable damages in a drone related matter. Let’s say that one of the approximately 700,000 drones purchased in 2015 was purchased by a famous athlete – a Major League Baseball pitcher. And let’s say that, hypothetically, said professional pitcher was injured during his operation of this personal drone. In fact, the pinky of his throwing hand was badly cut requiring stitches, thus preventing his ability to throw during the Major League Baseball playoff season. * If litigation ensued, could the drone manufacturer be held liable for the millions of dollars in lost wages incurred by the professional pitcher? The quick and simple answer is: yes. Pursuant to Illinois tort law, where a defendant’s negligence proximately caused a plaintiff lost wage damages, the full value of time lost from work is recoverable (Boden v. Crawford, 196 Ill. App.3d 71 (4th Dist. 1990)). This holds true even if the professional pitcher’s employer still paid him his salary in full during the time he was unable to work. In addition, this theory coincides with the collateral source rule preventing the admission of evidence that a plaintiff received benefits from a source wholly independent of and collateral to the defendant (Arthur v. Catour, 216 Ill. 2d 72 (2005)). These benefits cannot be used to diminish damages otherwise caused by and recoverable from the defendant. Accordingly, the more important question then becomes how does a plaintiff prove that a drone manufacturer proximately caused his injuries for these million dollar damages to arise? In the above hypothetical, the likely cause of action will be a product liability design defect claim. This sort of action may involve issues like the manufacturer providing inadequate warnings or a failure to incorporate state-of the art safety technology or to abide by industry standards. On the other hand, the drone itself may have manufacturing defects or the manufacturer may be found breaching a warranty. If the professional pitcher is able to show any of these occurred, the manufacturer may be in for a harsh blow to its wallet. That is not the end of the story, though. For even if a plaintiff can prove one of the above claims, a drone manufacturer must not forget that it still may avoid or limit its liability with affirmative defenses if it can place fault back on the plaintiff’s operation of the drone. For instance, the manufacturer may be able to prove that the plaintiff failed to maintain the drone leading to mechanical failures, violated FAA regulations, or operated the drone under diminished capacity or without accounting for weather conditions. Moreover, depending on the circumstances of the use, the plaintiff also could be found to have assumed the risk. 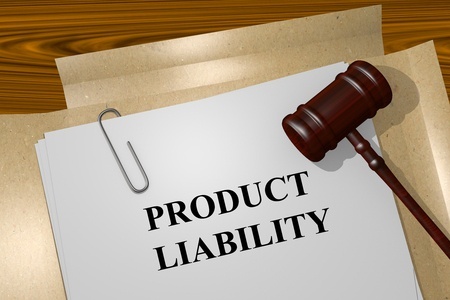 In each of these cases, the plaintiff’s conduct, as opposed to the manufacturer’s, may have been the causal connection to his injuries, thus alleviating some or all of the liability on the manufacturer. Overall, personal operation of a drone may lead to severe liability by its manufacturer, i.e. the case of the non-contributory negligent professional pitcher. However, liability will not be a guarantee in all drone related matters. For instance, take the case of the operator who chose to alter the mechanics of the drone and fly it during a windstorm. This plaintiff may have a hard time showing liability, let alone any damages. *Any similarity between the hypothetical situation presented and Trevor Bauer’s injury and the Cleveland Indians subsequent loss of the World Series (to the Chicago Cubs) is purely coincidental.